Festival Fever! 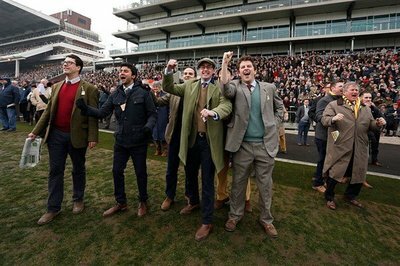 5 Great Cheltenham Stories Since 1990. The Greatest Show On Turf has produced some wonderful and emotional stories down the years. From superstar Grade 1 hat trick winners to extraordinary heartfelt comebacks from injury, The Cheltenham Festival holds a vault of classic equine tales that underpins why National Hunt racing is often regarded as the stuff of legends. But it’s not all about great horses and epic performances. Cheltenham has had its fair share of ups and downs and even recently the course’s equine safety record has been brought into question. However, the real spirit behind Cheltenham is the way the course and The Festival in particular makes heroes and creates household names. Cheltenham can also bring the young pretenders a good reality check. Many horses who have triumphed at other courses up and down the county have met their nemesis over those undulations, stiff fences and that perilous stamina-sapping uphill finish. One such horse was a legend in the making, a Martin Pipe trained powerhouse of a stayer who enthralled the Chepstow crowds at the 1991 Welsh National with a staying performance that still to this day stands out as one of the greatest ever racing performances. Carvill’s Hill could have lined up with the likes of Arkle, Best Mate and Kauto Star but the Cheltenham fences proved to be his downfall. A sad but fascinating start to our Five Great Cheltenham Stories Since 1990. Everybody loves a hype horse and this Irish bred Martin Pipe trained stayer was tipped to follow in the footsteps of Arkle but certainly didn’t initially fulfil that promise. In the 1989 Cheltenham Gold Cup, he fell early leaving Desert Orchid to finally claim the elusive prize that had seemed beyond him. Martin Pipe first took on Carvill’s Hill in the summer of 1991 and after an impressive performance in the Chepstow Rehearsal Chase, he was given an entry for the 1991 Coral Welsh National in December. What happened there almost defied belief. Carrying top weight under 11 stone 12, Carvill’s Hill took up the running and built up a healthy lead and apart from the occasional jumping error, he pretty much cruised along the bridle relentlessly around one of the most stamina demanding national hunt tracks in the world, with its trademark desperate heavy going to add. 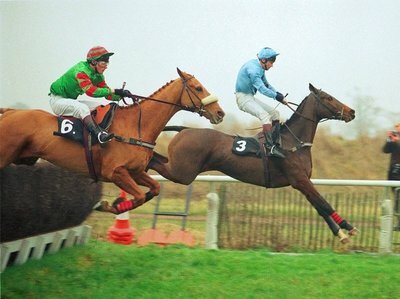 With 6 fences to go, the pack started to close in but Carvill’s Hill answer to that was unprecedented: he picked up the pace and galloped even further away, leaving his top quality rivals, including two future Grand National winners and a Gold Cup winner, 20 lengths hopelessly adrift when he crossed the line. 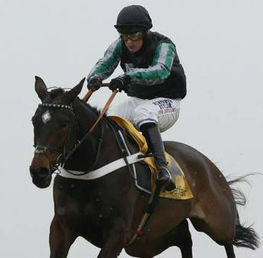 It was possibly the top weight handicap performance of all time, not even bettered by Denman’s Hennessey glory of 2009. 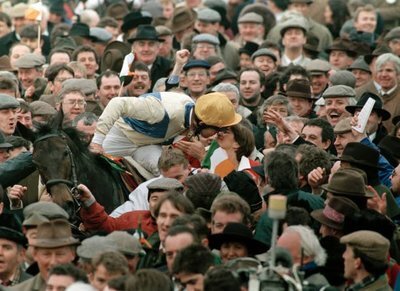 The 1992 Cheltenham Gold Cup had a new hot favourite. It was however on plenty of people's minds that Carvill’s Hill was a bit of a dodgy jumper and if any course would find him out, it would be Cheltenham. Going off at Evens favourite for The Gold Cup, Carvill’s customarily took up the running but found himself upsides an unlikely running partner in the shape of rank outsider Golden Freeze, trained by Jenny Pitman. Clearly unsettled by this competition for the front running position, Carvill’s Hill made several horrendous jumping errors along the way but maintained the lead. Rounding the home turn however, he found quality rivals The Fellow, Docklands Express and Cool Ground all breathing down his neck and approaching the second last, the mistakes and exertions had taken their toll on Carvill’s Hill and he subsequently faded, practically walking over the line, a very tired and unfortunately lame horse. Cool Ground eventually won the race at 33/1. The aftermath of the race was perhaps marred as a mud-slinging match between Jenny Pitman, the trainer of Golden Freeze, and several high profile racing figures centred around Carvill’s Hill's poor performance. The accusations of purposely running Golden Freeze to upset Carvill’s Hill in order to strengthen the chances of Pitman’s main runner Toby Tobias, were harsh and would have brought the sport into disrepute in this modern era. Carvill’s Hill’s jumping was simply not up to scratch. Despite Martin Pipe’s enduring efforts to bring Carvill’s Hill back as a 12 year old, the dream was never realised and the horse’s perpetual back problems ruled him out from ever running again. But his weight defying superiority at the Welsh National will never be forgotten. The pre-match talk of The 1996 Cheltenham Gold Cup was dominated by the presence of the grey One Man who had built a fierce reputation on the back of three impressive straight wins, including a rescheduled Sandown King George victory. Meanwhile over in Ireland, The Hennessey Cognac Gold Cup at Leopardstown, a key Irish prep run for The Cheltenham Gold Cup, had produced an eye-catching victory for Imperial Call. He was a gutsy little 7 year old, not the best of jumpers but had more than proved his staying credentials and immediately won the hearts of Irish racegoers. The Gold Cup on the day was billed as a UK vs Ireland head to head showdown and it didn’t fail to match up to this pre-race hype. Rounding the turn for home, One Man and Imperial Call locked horns and looked set for an enticing battle over the last two fences. But somebody didn’t read their lines according to the script: followers of the grey One Man were left flabbergasted as the horse seemed to hit a brick wall approaching the second last and faded dramatically, leaving Imperial Call to see off a huge threat from Rough Quest and claim an impressive 4 length victory. This sparked off the biggest Irish celebration seen since Dawn Run’s victory in the same race ten years before. Having set their sights on the enigmatic Danoli for several seasons, (who had failed to shine in two Champion Hurdles) the Irish contingent had found a winning hero to replace him. The Cheltenham winner’s enclosure became a melee as numerous ecstatic Irish racing fans invaded the area reserved only for the winner’s connections. Cheltenham officials reacted swiftly and tightened up security for the following year’s Festival to avoid any repeat of such actions. However, the subsequent victory of the Irish horse over the British horse was always going to be extra special for the Irish followers and they will always hold this victory in their hearts for years to come. The 2001 Foot and Mouth Disease, the first of its kind for twenty years had a devastating effect on the racing industry. At the time of the outbreak, towards the end of February, nobody dreamed that it would affect The Cheltenham Festival in any fashion. However, as the affected cases accumulated up and down the country, fears started to mount. And on March 1st 2001, the course was dealt the potentially fatal blow. Up until that date, Prestbury Park had been outside the named “exclusion” zones, however, an outbreak was reported just 5 miles away at Woolstone Farm. The Festival’s poor prospects were exacerbated even further as the nearby outbreak was enough to convince the Irish trainers that bringing their horses over for The Festival was not going to be an option and they subsequently withdrew all their entries. 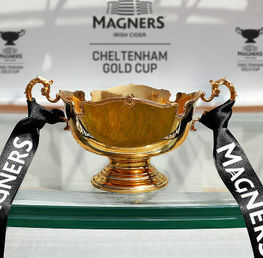 However, Cheltenham Racecourse soldiered on and decided to postpone The Festival until April 17-18 despite pleas from high profile trainers such as Ferdy Murphy and Kim Bailey, who strongly advised to cancel altogether until the disease was fully contained. On March 31st, the game was finally up. Yet another outbreak was confirmed just five miles away from Cheltenham and this incident meant the course was now inside an exclusion zone. The 2001 Cheltenham Festival was finally abandoned on April 1st. 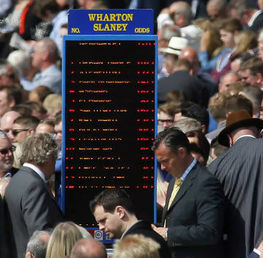 The financials effects of the 2001 Foot and Mouth outbreak was incalculable for the racing industry as a whole and particularly painful for The Cheltenham Festival: hotels, guest houses, bookmakers, catering suppliers and of course Channel 4 all took a hiding. The racecourse itself was insured against such an event but the loss of revenue was highly damaging. 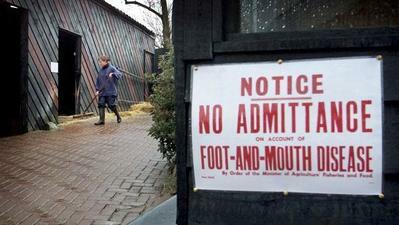 As for Foot and Mouth, it took almost a year for the disease to be fully contained. The Festival went ahead in 2002 and it seemed like Cheltenham entered a new era with a relatively new cast of fresh faces. It is probably unthinkable for this to happen in the modern era although many believe that the decision to abandon The Festival in 2001 was the right one. The Denman and Kauto Star rivalry from 2008 until 2011 quite simply lit up The Festival and gave us an unforgettable golden era. Arguably, this exciting vehicle for National Hunt racing is the chief reason for the huge popularity of The Cheltenham Festival now. Denman and Kauto were the kind of box office not seen since the likes of Desert Orchid and Red Rum whilst the story of their enduring Gold Cup duel is now legendary. Who was the better is a pointless debate as they both excelled to the best strengths of their chasing abilities in each of the Gold Cups they were victorious in. Denman demonstrated his formidable strength and staying power in 2008 whilst Kauto set a template for jumping economy, prowess and speed in his 2007 and 2009 wins. But it was the 2011 Gold Cup that cemented and personified the entire saga. The pre-race betting for the 2011 renewal suggested that the Paul Nicholls duo were past their best and either 2010 winner Imperial Commander was going to retain his title or a new kid on the block was going to triumph. The bookies subsequently got it right but only those who view racing with their hearts could have predicted what actually happened in the closing stages. In the race, Kauto Star and Imperial Commander were disputing the lead going to the third last but with plenty of formidable talent breathing down their necks including the King George winner, 6 year old Long Run, the Alex Ferguson owned What A Friend and…Denman. 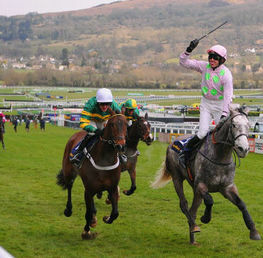 Imperial had fluffed the fence before, allowing Kauto to take a narrow advantage over the weakening Gold Cup holder. However, leading up to the fence, it was Denman who found reserves to cruise upsides his Ditcheat stable-mate to set up the battle racegoers could only have imagined in their wildest dreams. The Cheltenham stands, regardless of who was on their betting slip, erupted with pure joy as these two ageing chasers slogged it out to the final fence. However, their struggles over the years had finally caught up with them and it was the fresh exuberant legs of the young pretender, Long Run who collared them both after the last fence to register a fully deserved victory. 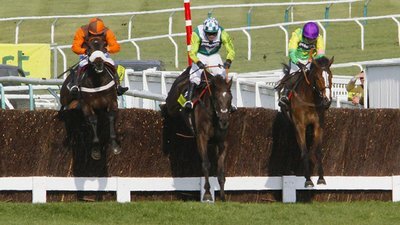 Denman and Kauto, the perennial crowd-pleasers, stayed on for second and third respectively to round off an epic Gold Cup. Was it the greatest of all time? Fans of Dessie, Arkle and Best Mate might scratch their chins but anybody who was there in 2011 will certainly merit it as one of the all-time classics. We started with a comeback story that didn’t materialise. To conclude, it is therefore more than appropriate to tell the greatest comeback story ever witnessed in the history of National Hunt racing: the rise, fall and triumphant return of The Aeroplane, the imperious Sprinter Sacre. His 2013 Champion Chase success could never be described as competitive. One looks back and wonders why anybody turned up at all to take him on. Sprinter Sacre was on another planet that day, racing like, as commentator Simon Holt emotionally described, a “steeplechaser from the Gods”. Timeform certainly agreed and gave him a rating of 192 for that performance, which put him above the likes of Mill House, Desert Orchid and Kauto Star. Hopes were excitingly high for his follow-up season and his seasonal reappearance at Kempton in the Desert Orchid Chase saw him installed as a 2/9 favourite. He ran his customary race just sitting in behind the leaders but showed signs of slight distress half way and started to struggle. His jockey Barry Geraghty took no chances and immediately pulled him up whereby post-race tests confirmed that he had developed an irregular heartbeat. He was not seen for the rest of that season. The 2015/15 season saw him return but he was a million miles away from the Aeroplane that soared over the Prestbury fences in his 2013 Champion Chase demolition. Dodging Bullets and Special Tiara were great horses in their own right but connections of Sprinter Sacre would rate finishing as runner-up behind these two as a relative failure. Sprinter Sacre’s collapse in the 2015 Champion Chase, pulling up with two fences remaining, heralded that time was possibly up for this powerhouse of a steeplechaser. But trainer Nicky Henderson had other ideas. 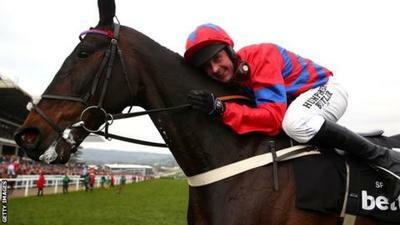 With positive rumours of Sprinter Sacre working impressively at home, Henderson entered him for the Grade 2 Shloer Chase at Cheltenham in December of 2015. And it was here that the impossible dream took a little step towards reality. Demonstrating his old swagger and sheer brilliance, Sprinter Sacre massacred some half decent rivals by 15 lengths to give a clear indication that whilst he was not quite up to his old rating of 192, he would certainly give ante post backers of the 2016 Champion Chase something to consider. After a battling win over previous Champion Chaser, Sire De Grugy, at Sandown, Sprinter Sacre took his place in the 2016 Champion Chase as 5/1 second favourite. He had nothing to prove and nothing to lose. Un De Sceaux was a worthy favourite and was realistically expected to win comfortably. With three fences remaining, this looked to be a formality for Un De Sceaux. Cruising in front and appearing to have plenty in the tank, the Willie Mullins charge was helped even more by an error from Sprinter Sacre at the third last who appeared to look slightly laboured trying to gain ground. Nearly down but not out by any means. Rounding the home turn, Special Tiara and Un De Sceaux seemed to have the race in their grasp when The Aeroplane suddenly almost out of nowhere came up sides and contested them for the running. Simon Holt himself commentating had to almost take stock himself as he quickly had to rephrase to state that Sprinter Sacre had now actually taken up the running. It was happening. The Aeroplane soared once more and created some serious daylight between himself and the now struggling Un De Sceaux. Approaching the last, seven lengths in front, the crowd held their breath and simultaneously exploded as Sprinter Sacre..just..got over the last and held on up the hill to score by 4 lengths. Whilst it wasn’t even comparable to his thoroughly authoritative 2013 victory, it trounced that win in terms of emotions, passion and heart. Henderson had fulfilled the impossible dream and given Cheltenham another incredible story to add to their bulging vault.